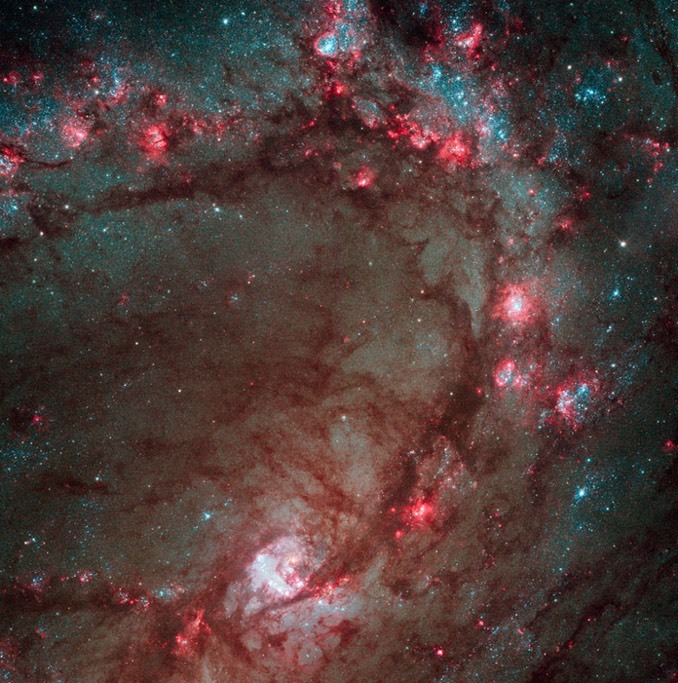 Spiral galaxy M83, known as the “Southern Pinwheel,” is a favourite target for amateur astronomers, a sprawling swarm of stars 15 million light years away in the constellation Hydra. The Hubble Space Telescope reveals a galaxy “ablaze” with star formation, capturing thousands of star clusters, hundreds of thousands of individual stars and numerous supernova remnants in a colourful tapestry stretching across 50,000 light years. 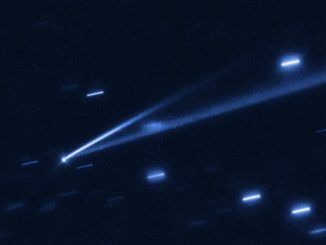 Hubble’s Advanced Camera for Surveys, sensitive to a broad range of wavelengths from the ultraviolet to the near-infrared, provides an especially dramatic closeup in the image below, taken in 2009. 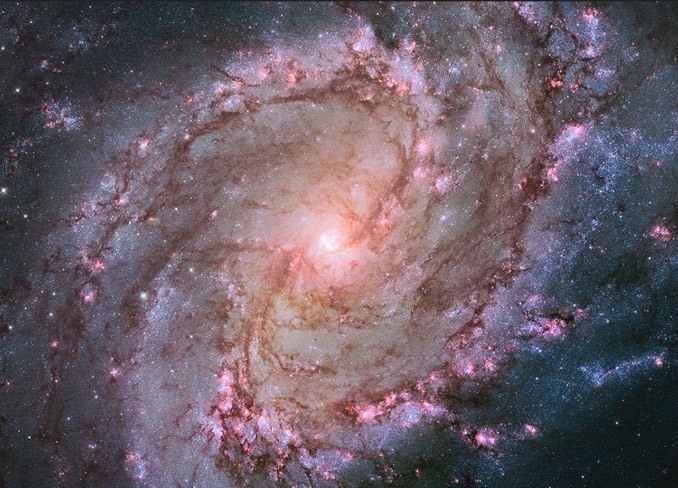 “The image reveals in unprecedented detail the current rapid rate of star birth in this famous “grand design” spiral galaxy,” according to NASA’s caption. 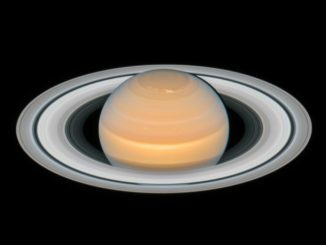 “The newest generations of stars are forming largely in clusters on the edges of the dark dust lanes, the backbone of the spiral arms. These fledgling stars, only a few million years old, are bursting out of their dusty cocoons and producing bubbles of reddish glowing hydrogen gas. “The excavated regions give a colourful ‘Swiss cheese’ appearance to the spiral arm. Gradually, the young stars’ fierce winds (streams of charged particles) blow away the gas, revealing bright blue star clusters. These stars are about 1 million to 10 million years old. The older populations of stars are not as blue. “A bar of stars, gas, and dust slicing across the core of the galaxy may be instigating most of the star birth in the galaxy’s core. The bar funnels material to the galaxy’s center, where the most active star formation is taking place. The brightest star clusters reside along an arc near the core. 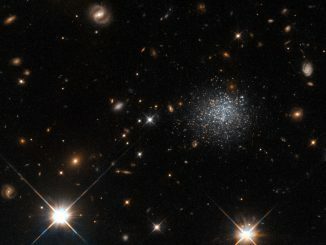 The fuzzy collection of stars seen in this NASA/ESA Hubble Space Telescope image forms an intriguing dwarf galaxy named LEDA 677373, located about 14 million light-years away from us in the constellation Centaurus. This particular dwarf galaxy contains a plentiful reservoir of gas from which it could form stars, but it stubbornly refuses to do so. Why?